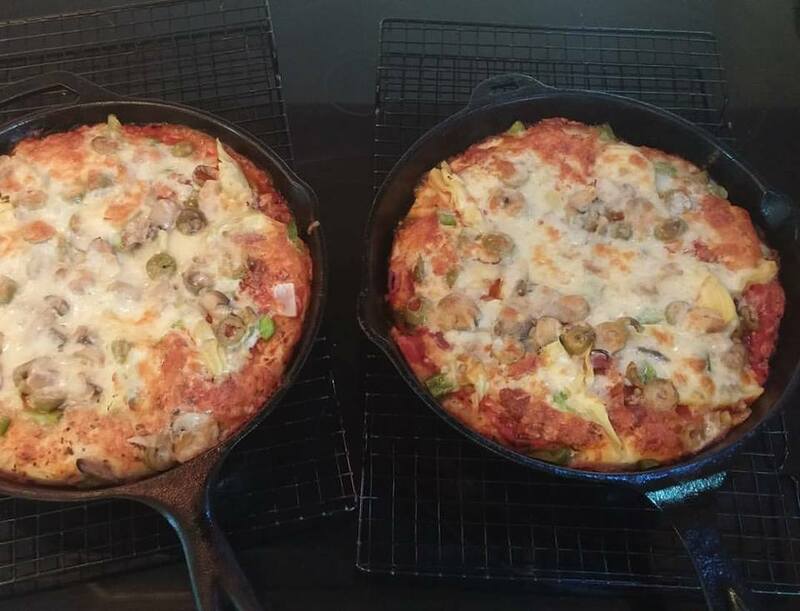 I made pizza in cast iron pans tonight. They were amazing, if I do say so myself. Here’s the recipe I used. 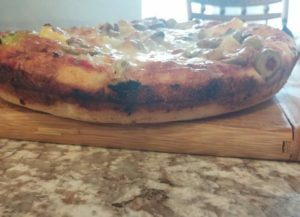 Just a note: I made the dough at noon and put the pizzas in the oven at 530, I hear it’s even better if you let it go overnight.